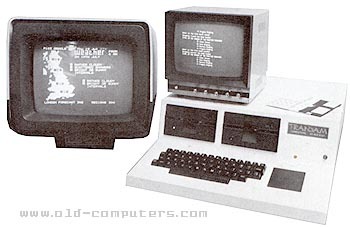 Transam was based in London and have moved on from their original business as a manufacturer of cheap hobby-type boards to computers design in 1982. The main unit of the Tuscan computer had a ten-slot S-100 backplane and integral single or dual floppy disk drives. The system came with a CPU board based around the Z80 processor, a video board with composite and UHF TV video outputs, and a memory board holding 8 KB of RAM and 8 KB of Monitor ROM. Several additional board could expand the system to 64 KB of RAM, 16 KB of ROM (including a 8 KB BASIC), and add interfaces or graphic capabilities as well. Transam, trough their TCL subsidiary was also well known for implementation of high level languages, especially PASCAL. These and others could be used on this computer. see more Transam Tuscan S-100 Ebay auctions !